The Mickley-Hawn-Queller specimen 1804 dollar, graded PR-62, will be offered by Heritage Auctions at the June 2018 Long Beach Expo. Photo credit: Professional Coin Grading Service. 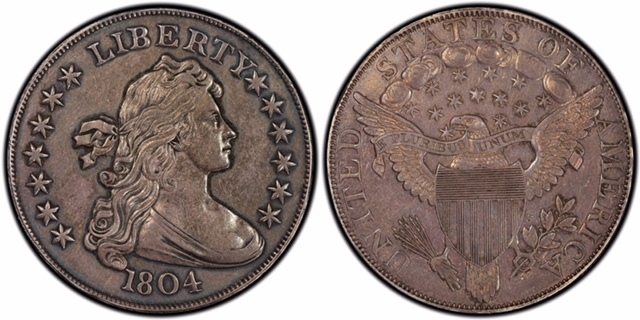 A legendary Class I original 1804 Draped Bust silver dollar, the Mickley-Hawn-Queller specimen graded PR-62, will be just one of the historic, numismatic rarities certified by the Professional Coin Grading Service (PCGS) and offered by Heritage Auctions (HA) at the Long Beach Coin, Currency, Stamp & Sports Collectible Expo (LongBeachExpo), June 14-16, 2018. 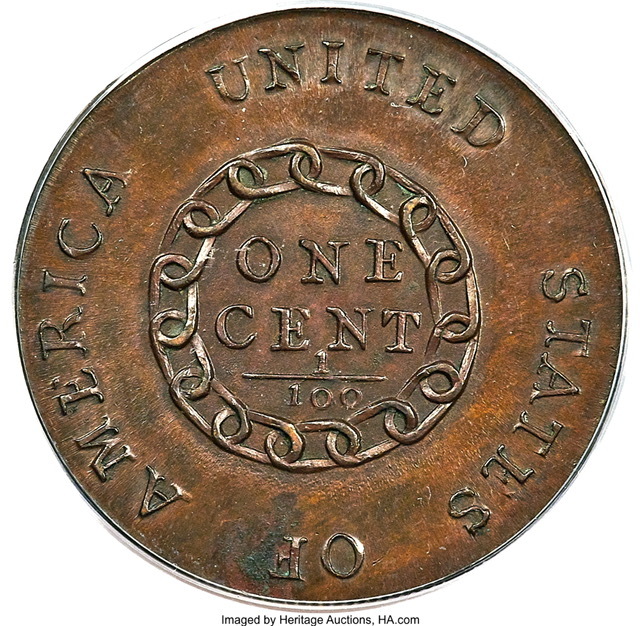 Formerly in the Eliasberg Collection, one of the finest known 1793 Chain America cents with period, graded MS-65 BN, is one of the PCGS-certified coins Heritage Auctions will offer at the June 2018 Long Beach Expo. Photo credit: Heritage Auctions. Hover to zoom. One of the finest known 1793 Chain America cents with period (S-4, B-5, R.3). 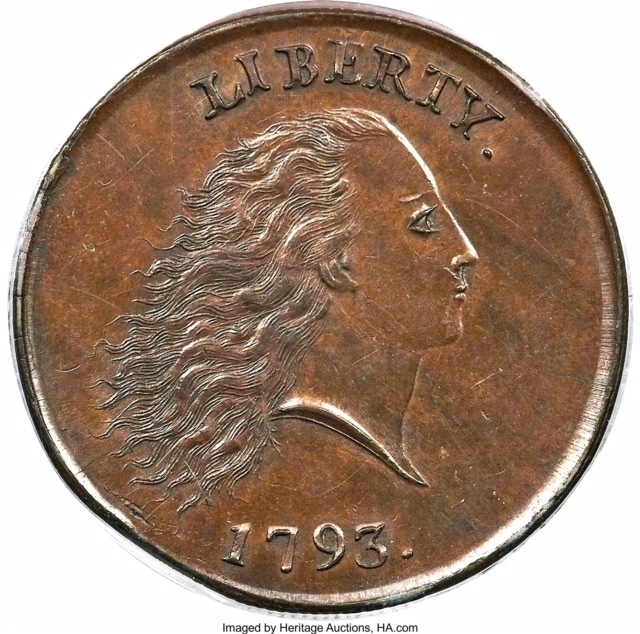 The reverse of the 1793 Chain cent. Photo credit: Heritage Auctions. It is graded MS-65 BN and was formerly in the Eliasberg Collection. A 1794 Flowing Hair Bust dollar, graded EF-40, which is a rare example of the first silver dollars struck by the United States Mint. 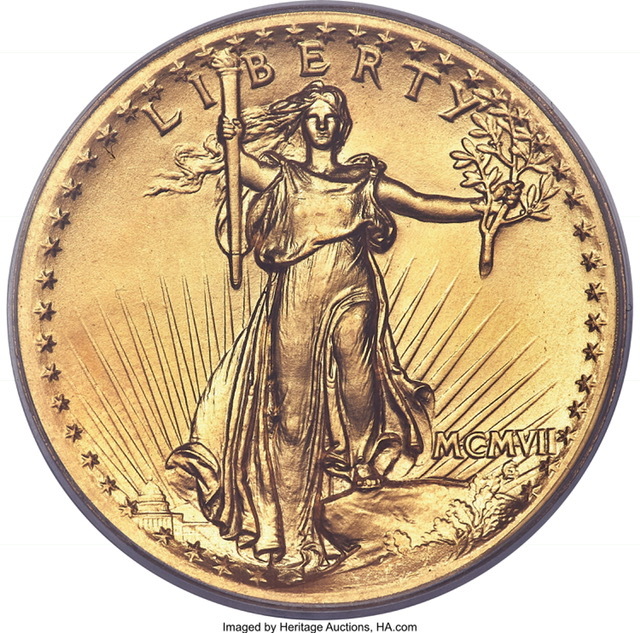 Graded MS-67, this 1907 Saint-Gaudens high relief, wire rim Double Eagle is one of the outstanding type set collection coins in the June 2018 Long Beach Expo auction to be conducted by Heritage Auctions. Photo credit: Heritage Auctions. Since its founding in 1986, PCGS has certified over 38 million coins with a total market value of over $33 billion. For information about PCGS products and services, including how to submit your coins for authentication and grading, visit PCGS online or call PCGS Customer Service at (800) 447-8848.